Are you passionate about photography? 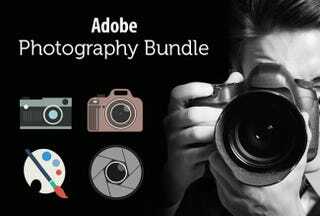 With over 200 lectures & 27 hours of content, this bundle from Adobe can teach you the skills necessary to take beautiful photographs and bring them to life with Photoshop Creative Cloud. Normally $243, you can grab this bundle for 87% off – just $29.99. Introduces the most used photoshop tools like Magic Wand, Brushes, Cloning, etc. All of these courses come with unlimited lifetime access and a 30-day money back guarantee. Discounted from $243, this is a pretty great deal for content direct from Adobe. Head for the link to grab the deal. Interested in 3D printing but don't know where to start? StackSocial has the a 3D Printing Starter Bundle for 25% off. It includes the Portabee GO 3D printer + 45 hours of training to help you get started. This is a pricey one – $849, but it's 25% off.